The outstanding feature of the TOE 7741 power function generator is its high power output of over 63 W (with rectangular waveforms). 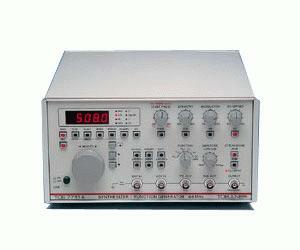 This power is achieved at an output amplitude of 45 Vpp into 8 Ohm load. Since the output amplifier has an internal resistance of approx. 0 Ohm and is shielded by feedback voltage protection, any external voltages of up to 120 V will not destroy its output stage.